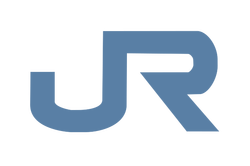 The Japan Freight Railway Company was established in 1987 following the privatization of the Japanese National Railways. 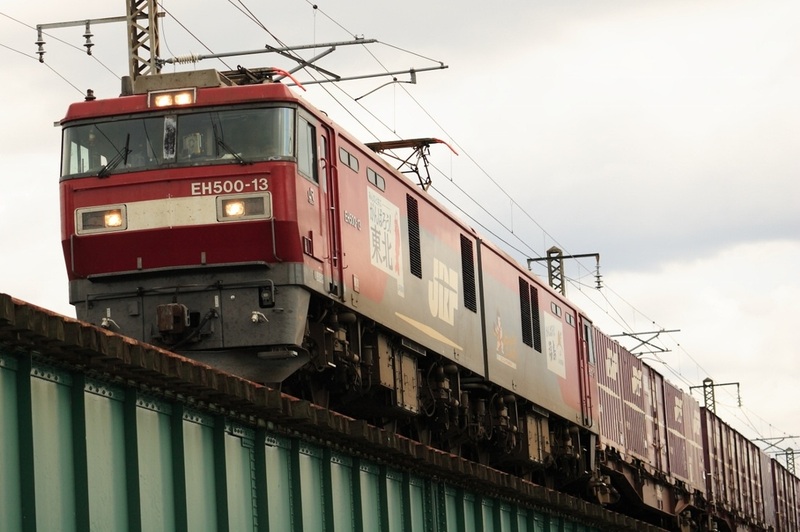 Commonly referred to simply as JRF, the Japan Freight Railway Company handles freight trains all across Japan from Hokkaido to Kyushu. JRF inherited most of the locomotives owned by the JNR at the time of privatization and these formed the mainstay of the JRF fleet until newer designs such as the Class EF210 were introduced. JRF owns electric locomotives along with diesel locomotives that are used extensively in the Hokkaido region. 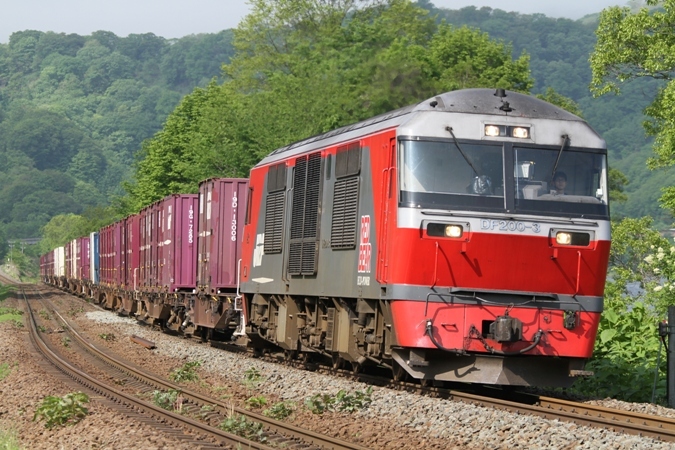 Many of its locomotives have been given official nicknames as well as an official classification such as the Class EH200 "Blue Thunder" and Class DF200 "Red Bear." Rail freight was declining for many years in Japan with increased air cargo and the expansion of the highway network. However, rail freight is now experiencing some growth partially due to the fact that it releases much less carbon-monoxide than trucking does. JRF owns very little track of its own and mainly runs on track owned by the other JR companies and must pay to operate its freight trains on those stretches of track. This has lead to the development of large, permanently-coupled eight-axle locomotives to decrease the number of locomotives and therefore operating costs of its freight trains.